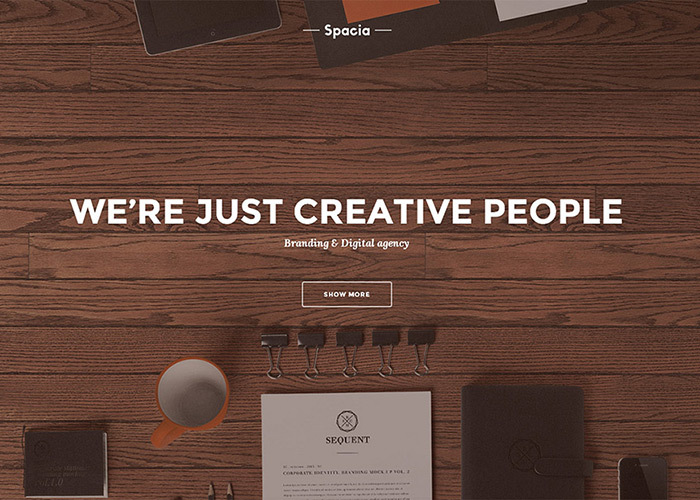 Spacia is a powerful and original responsive & parallax HTML template. An eye for a detail makes its design perfect to meet needs of creative people and digital agencies. Spacia template includes 5 home section versions, 12 color schemes, 3 fonts combinations (2 multi-language variants, Cyrillic support), 5 posts variants. Spacia is well documented, so it will take you just a few minutes to set up and customize it.